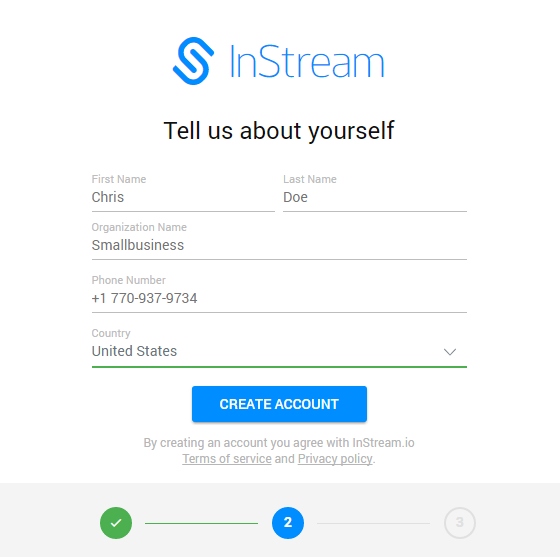 In order to sign up to InStream go to https://app.instream.io/register?lang=en. Next, follow the instructions which will appear on your screen. 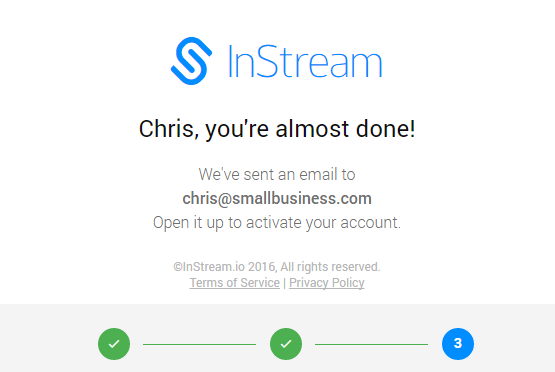 We just have sent an email to the given email address. 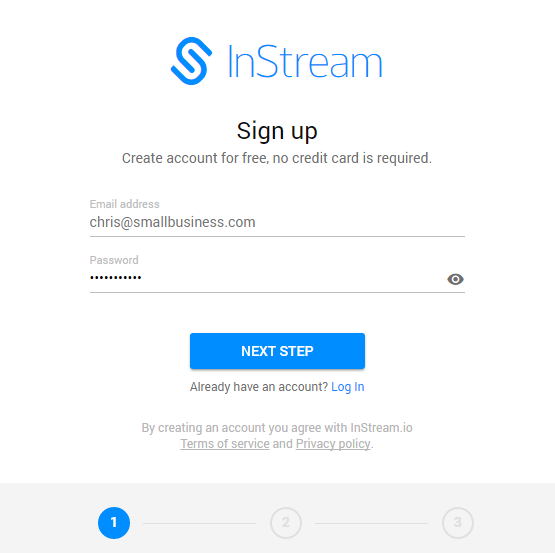 It contains your login and activation link. Click on it to activate your account. 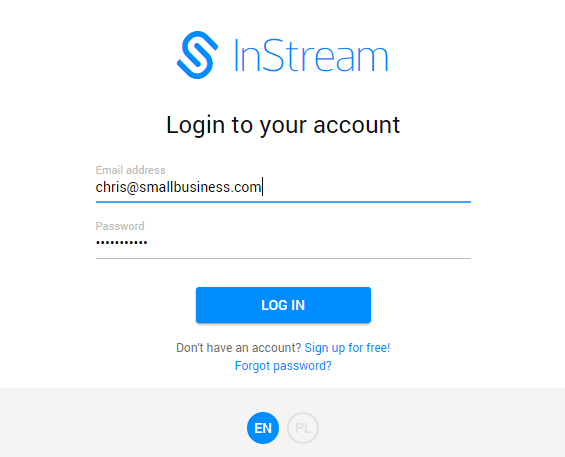 Log in to InStream by clicking on https://app.instream.io/login. Notice, below the “log in” button, you can choose the language.